ISPT is expected to buy a half-stake in Sydney’s World Square Shopping Centre. Superannuation fund-backed property group ISPT has emerged as the likely buyer of a half-stake in Sydney’s World Square Shopping Centre for more than $280 million. The group is believed to be the Australian player that has made the highest pitch for the key central business district retail holding, with the offer believed to reflect a yield of less than 5%. The offer of the stake in World Square was the first retail asset that Brookfield Property Partners brought to market as it also advances plans to sell $1.5 billion worth of office towers and retail assets. Brookfield is making good progress, with private equity firm Blackstone close to finalising its purchase of a half stake in the near $1.4 billion Southern Cross towers in Melbourne that the Canadian group is selling. In Sydney, once the disposal of World Square is finalised, Brookfield will focus its retail efforts in Sydney on its $1 billion plans to redevelop the Sydney CBD parcel known as Wynyard Place. For now, there is much excitement in the property industry about the pricing on the World Square asset. The sale sets new benchmarks for core retail prices, but the tight yield is partly explained by ISPT’s expertise in reconfiguring retail precincts to maximise value. In buying World Square it would take control of a complex spanning a full block on Sydney’s George Street in the heart of a popular entertainment and dining precinct. World Square is also positioned at the bottom of prominent office towers. The entire complex is co-owned by the Australian Wholesale Property Fund and a key lure for local groups has been the availability of the centre’s management. Sydney’s World Square Shopping Centre is likely to be partially acquired by ISPT. The parties and JLL retail investment head Simon Rooney, who is marketing the asset, declined to comment. However, ISPT’s core fund’s retail strategy is focused on purchasing CBD retail and dominant subregional centres in growth catchments. ISPT’s CBD retail investment strategy has seen it take a half interest in the Myer Centre in Brisbane, as well as holdings including Broadway on the Mall and Wintergarden in Brisbane, and Melbourne’s GPO and Forrest Chase in Perth. World Square already delivers the second highest moving annual turnover in the country at $248m, and the third highest MAT per square metre, of $18,888 per square metre. It is anchored by a Coles supermarket, as well as six mini-majors and 97 specialty tenancies across a gross lettable area of 17,539sqm and a 522-space carpark. These metrics could improve with more residential towers proposed for the area and ISPT will have the chance to remix tenancies to unlock further value. 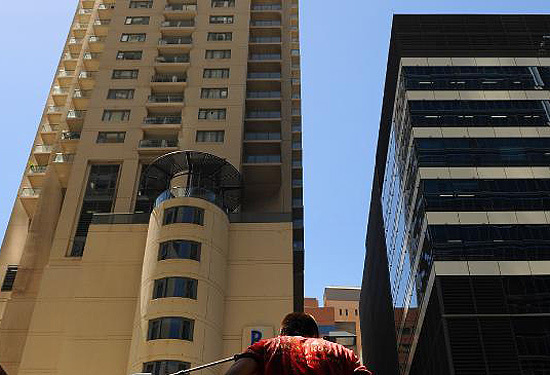 City retail sales have surged this year with Singapore’s Starhill REIT swooping on the Myer Centre Adelaide for $288 million, and Blackstone in talks to buy Rundle Place and 80 Grenfell Street in Adelaide for more than $400 million.